The Sanicubic 1 6101 is the replacement for the Sanicubic single heavy duty macerator 1102/1. Connections - Toilet, Basin, Bathtub, Dishwasher, Kitchen Sink, Shower, Washing Machine (Indirect connection) & Bidet. Discharges - 11m Vertical / 110m Horizontal. 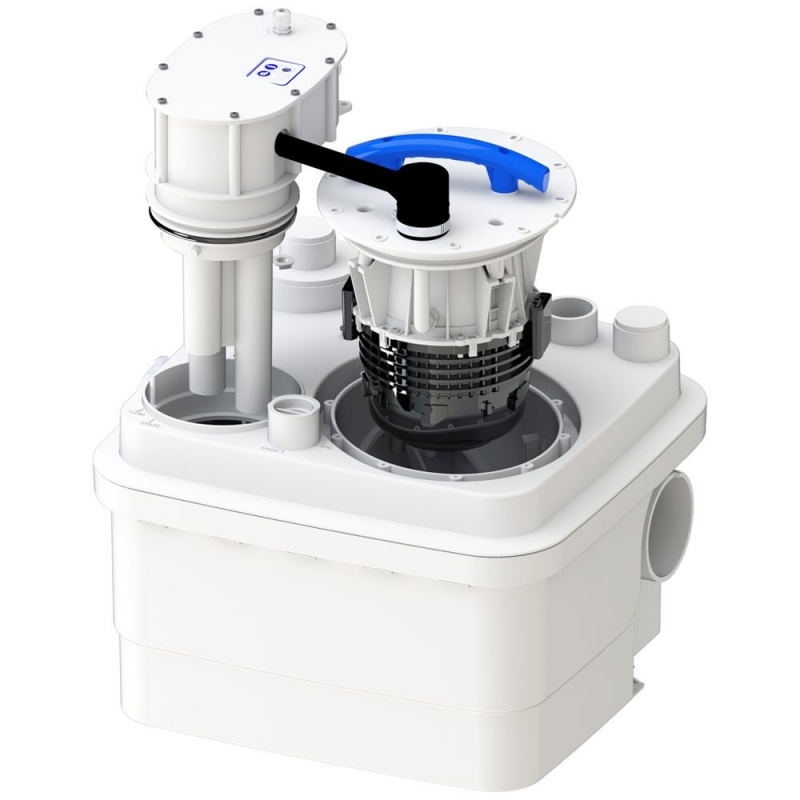 The SANICUBIC 1 is a single pump heavy duty macerator suitable for up to two toilets and multiple other waste water producing appliances.